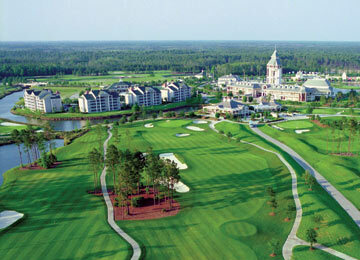 World Golf Village is a 630-acre resort and residential community located in historic St. Augustine. It is considered the ultimate golf vacation destination. Created by the PGA Tour, it is home to the World Golf Hall of Fame, and a number of championship golf courses created by Hall of Fame Legends. In addition to the resort , World Golf Village also features residential and commercial developments. 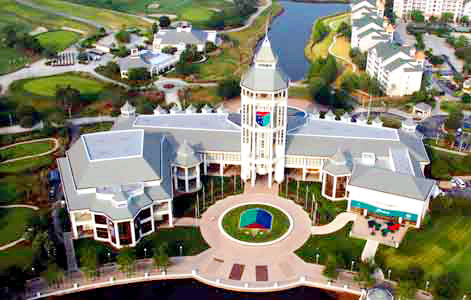 The foremost attraction at world Golf Village is the World Golf Hall of Fame. There is a permanent display with biographical information for each of the 130 men and women that are members. More than 70,000 square feet houses a Trophy Tower, containing a collection of all the major and minor tournament trophies. Here you will also find sections devoted to the history of golf, heritage, organizations, course design, equipment, attire and trends. Many of the displays are interactive and featured exhibits change yearly. Running a close second in popularity are the two Championship golf courses the resort features. “King & Bear” is a course designed by Jack Nicklaus and Arnold Palmer, and the “Slammer & Squire” was designed by Sam Snead and Gene Sarazen. Both courses have hosted professional tournaments and have been rated 4.5 out of 5 stars by Golf Digest. In 2000 the PGA TOUR Golf academy opened at at World Golf Village and provides schools, clinics and private lessons by PGA and LPGA instructors. 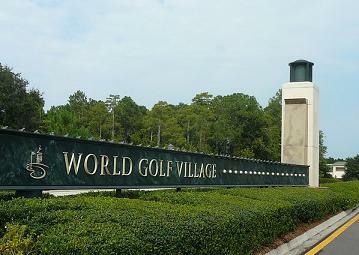 The World Golf Village offers a variety of accommodations, dining, shopping and entertainment. There are four hotels/ motels to choose from. The Renaissance Resort at World Golf Village, the Laterra Resort & Spa, The Grande Villas and The Residences at World Golf Village. There are a number of attractions at WGV. The IMAX Theater , The PGA Tour Stop, and The Murray Brothers Caddy Shack restaurant are just a few of the visitor favorites. For those visitors that want to call World Golf Village , home or even a regular get-away, World Golf Village offers a variety of options. There are several nearby subdivisions, offering single family homes for those looking to relocate. For elderly visitors , Glenmoor is an assisted living facility and perhaps a retirement option. Or for the vacationers there is a time share sales office located on site. If you are an avid Golfer or Golf enthusiast, The World Golf Village needs to be on your “Places to visit list”. 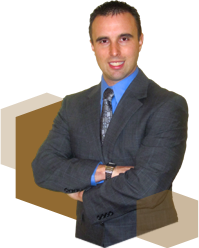 Who knows you might enjoy it so much you will add it to your “Places to Live List”. The next time you are in historic St. Augustine, make it a point to discover what makes World Golf Village the ultimate golf vacation destination.